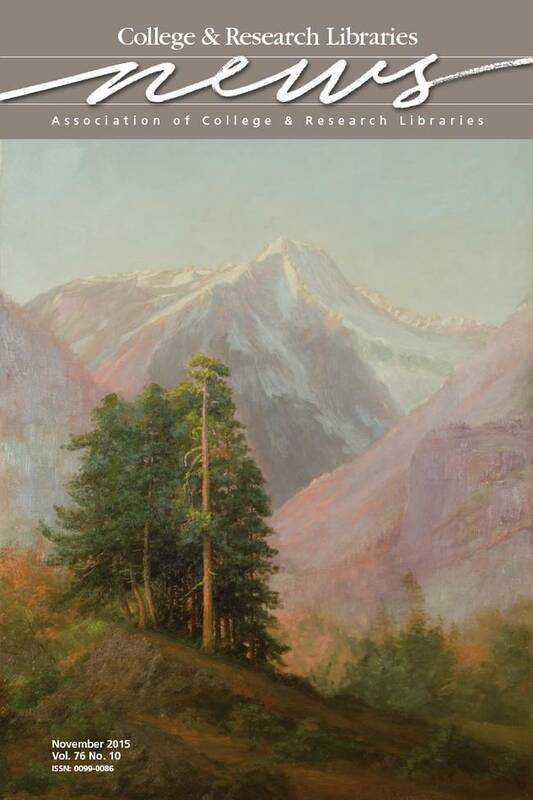 This month’s cover features Mount Booker Near Lake Chelan (1903) by Abby Williams Hill. Hill (1861–1943) was a landscape painter, social activist, and prolific writer. She produced a remarkable collection of landscape paintings showcasing the grandeur of the American West, as well as a vast archive of letters and journals addressing issues of continuing social and historical interest, including African American and Native American rights, and the preservation of our national parks. Hill’s personal papers are held by the University of Puget Sound and are available to researchers by appointment. Images of her artwork can be found on Content DM and will soon appear in Artstor. Image courtesy of Archives & Special Collections, Collins Memorial Library, University of Puget Sound.